About: Stephens Ranch is a 10.1-acre family-owned and operated farm established in 2014. 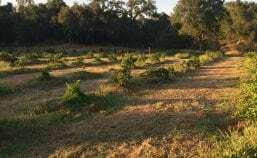 We produce two acres of Satsuma Mandarin Oranges, an acre of 8 varieties of hops, a one-third acre of grapes, a one-third acre of fruit orchards, and three beehives! Our Satsuma Mandarin Oranges can be tasted in our brews and purchased at our farm stand.